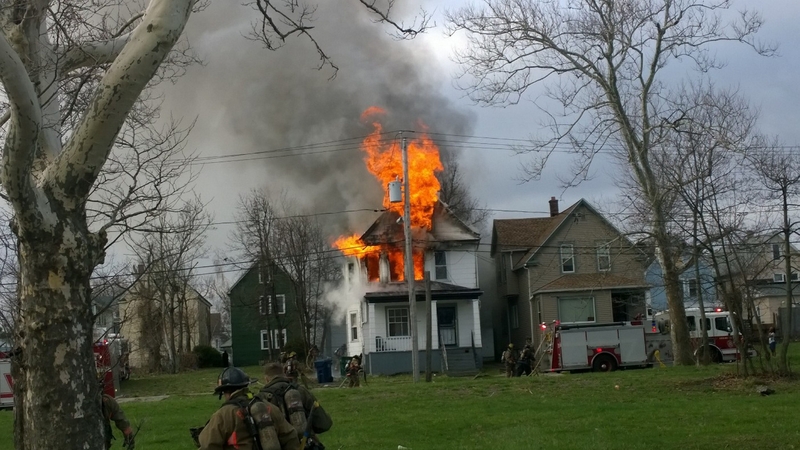 Buffalo firefighters try to douse this blaze that erupted in a house at 57 Moeller St. this morning. There were no reported injuries. Fire investigators are trying to determine the cause of a blaze that did $75,000 damage to a Moeller Street home this morning. The fire at 57 Moeller was reported at 8:42 a.m. The 2-1/2 story frame house is occupied, but no one was home when the fire broke out, fire officials said. The fire caused $50,000 in damage to the building and $15,000 to its contents, officials said.